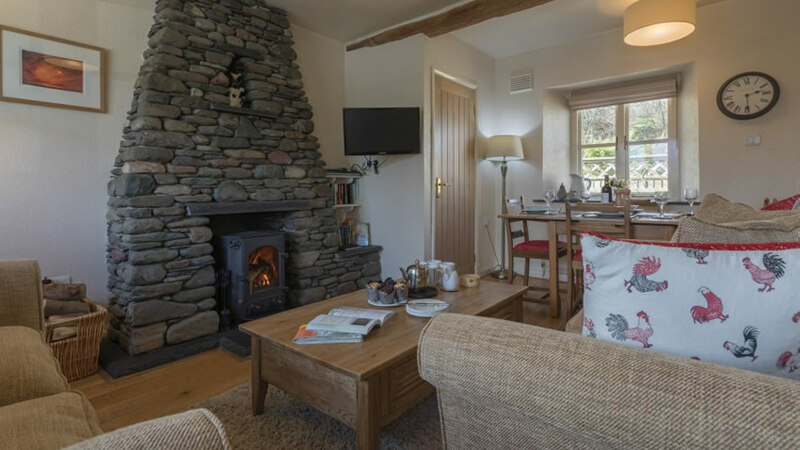 Both bank holiday weeks are still available in Squirrel cottage (sleeps 2) from Sat 29 April and from Sat 27 May and its a beautiful time of year in the Lake District ..don’t miss out! 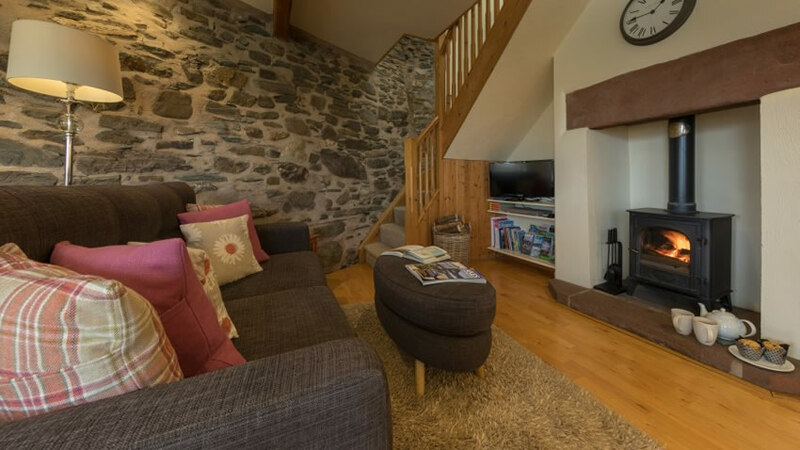 Squirrel cottage is located only 3 miles (5 min drive) from the market town of Keswick and Derwentwater with lots of fantastic walks right from the door. 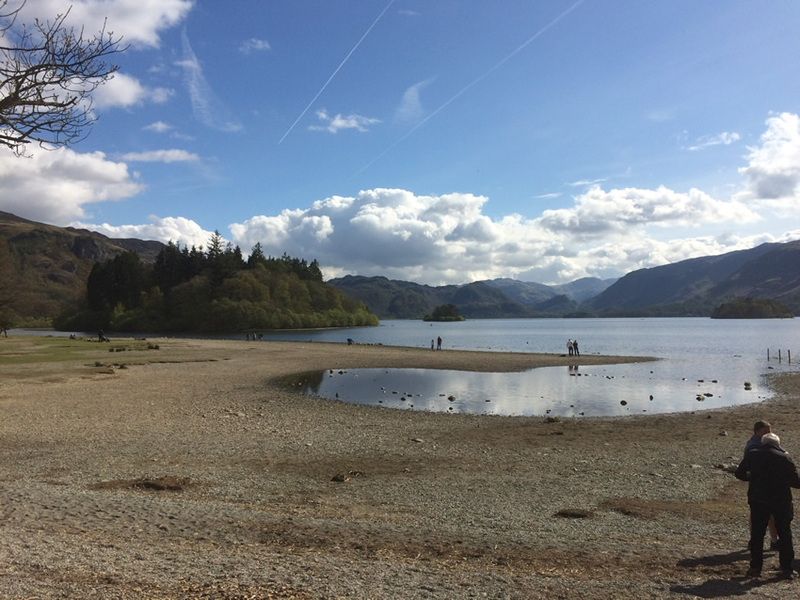 All the facilities in Keswick can be easily accessed but being just far enough away it is also ideal for a peaceful and relaxing stay if you want to avoid the Bank Holiday hustle and bustle. You can even leave your car parked up in our private off road car park beside the cottage and take one of the regular buses (service X5) that run through the village into Keswick or Cockermouth. Bring your bus pass if you have one or purchase one of the many saver bus tickets on offer (details and timetables in the cottage). 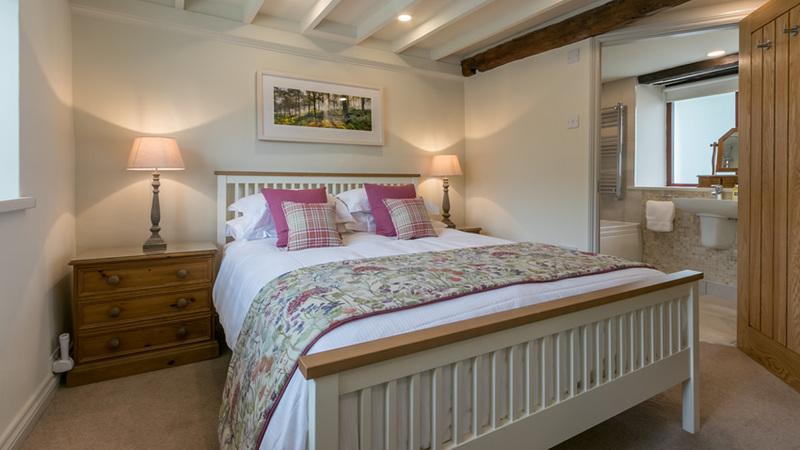 Squirrel cottage has a delightful east facing patio at the front of the cottage which catches the morning sun. 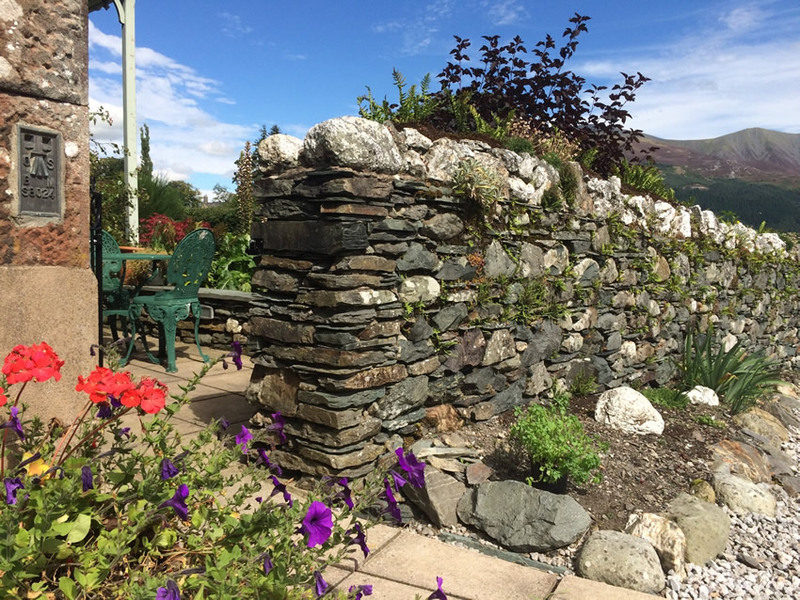 The sunrises and views of the Skiddaw mountain range from here and from the cottage itself are stunning. I took this picture last weekend of Derwentwater in Borrowdale ..a 5-10 min drive from the cottages. A beautiful spot for walks, water based and other activities. A view here of Thornthwaite village and the cottages (you can just about see them) from St Mary’s church. Walk straight up into Whinlatter Forest Park behind the cottages where there are miles of trails spanning both sides of Whinlatter pass, many of them with junction markers. The paths are very well defined and being on a mountainside are moderately hilly in places. 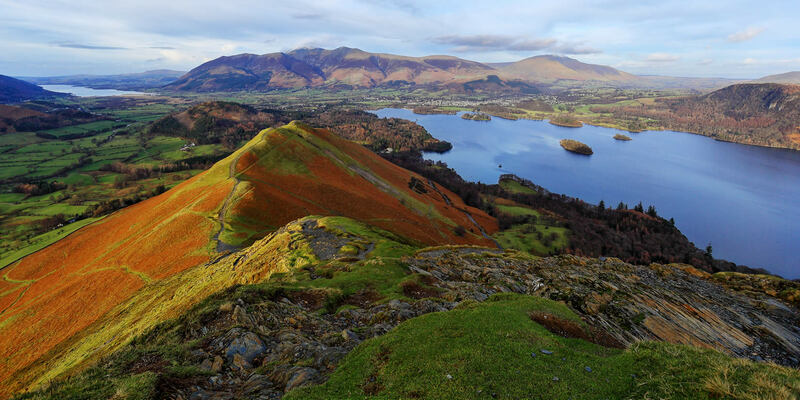 You will walk up through trees, past streams, over little bridges and onto flatter sections contouring the hillside to give magnificent views of Skiddaw, Bassenthwaite Lake and along to Derwentwater. From the forest trails you can also access felltops such as Barf, Lord’s Seat and Whinlatter Top. 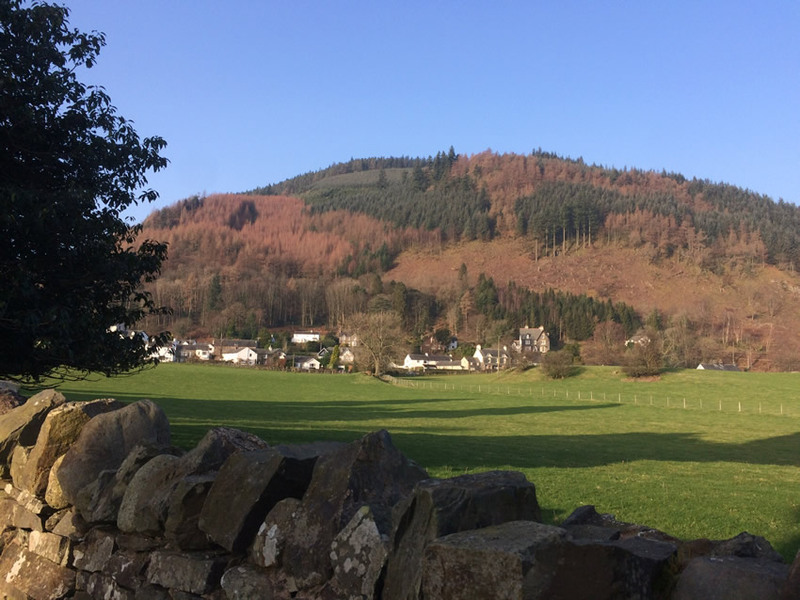 What to do in Whinlatter (print off walking trail maps from here). You will find a selection of maps and guide books in the cottages to get you going. We also live next door and spend many happy hours in Whinlatter with our two dogs Maisie and Milo so know it really well. We are on hand if you have any questions on route planning etc.